OK, crafty friends! Usually I take the time between Christmas and New Year to reorganize and sort out my craft space, but this year I’m getting started early. I’ve bee thinning and purging as well as reorganizing what’s left to make it more visable and hopefully then USABLE. Right now I have a craft obsession with BINDER RINGS. They come in a variety of sizes and even colors to make your craft room more organized. Take a look at this video I made for you, to give you some ideas! 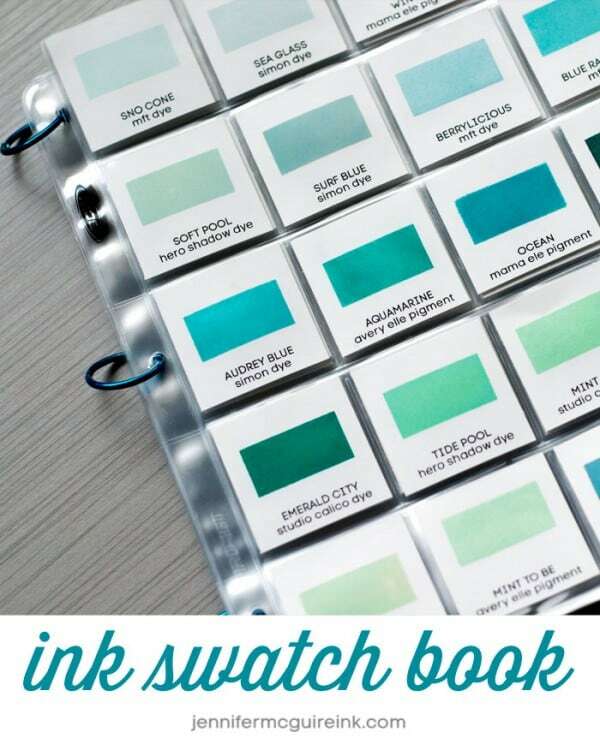 Now, it’s not just me- Jennifer McGuire uses book rings to create an Ink Swatch book. Just click the photo to see her post and video. 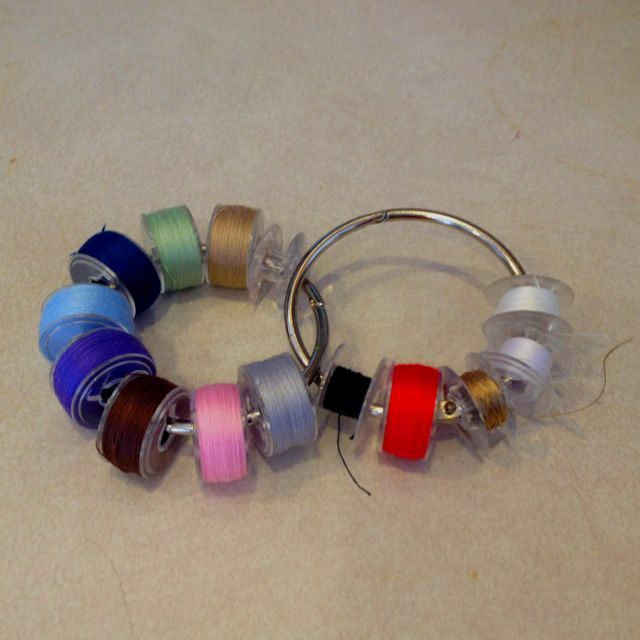 Or you could use the library rings to clip up your washi tapes, like they did in this post from Ella Publishing. Well, I hope you are inspired to use inexpensive binder rings (affiliate link) to organize your supplies! Leave me a comment and tell me how YOU use binder rings- I’d love to hear from you! I love them too! I even use them outside for hanging wind chimes and gardening tools that have holes that are too small to get on a hook or nail. I love the idea of using them for washi tape!!! As for Command hooks, I’m hooked! I use them for everything from holding a kitchen towel by the sink, to craft supplies, to scarves, hats and belts! i have used library rings for many things but you just gave me lots more ideas for them and for hanging them on Command hooks. I was wondering if you have ever looked into the ScrapRack way of organizing by color, themes, alpha and seasons. I have found it a great way of organizing my cardmaking and scrapbooking stuff. this is a great idea! I use them all the time. Thanks for sharing!!! I have always loved notebook rings. Now I have more ways to use them. Thanks. Love this. I’ve gotten some great ideas. I’ll be buying some of these to help me organize my craft room. 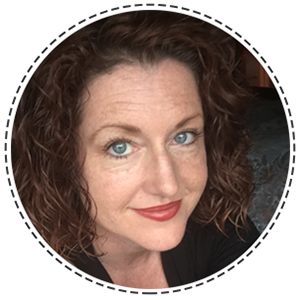 Thanks for sharing how you use them.